Together with our client Groupe LFE, MAD developed a name (The Joy of Italy) and a strong brand story for a series of Italian wines that educate the Dutch consumer about the different Italian regions, the regional grapes, and their wine taste. We created a modern design approach for an educational and informative label. What, where, when and how is delicately organised in a witty and brave tone for the curious customer. And while Italy brings people (us included) lots of Joy, we wanted to highlight the vibrant festivals that each region has to offer. 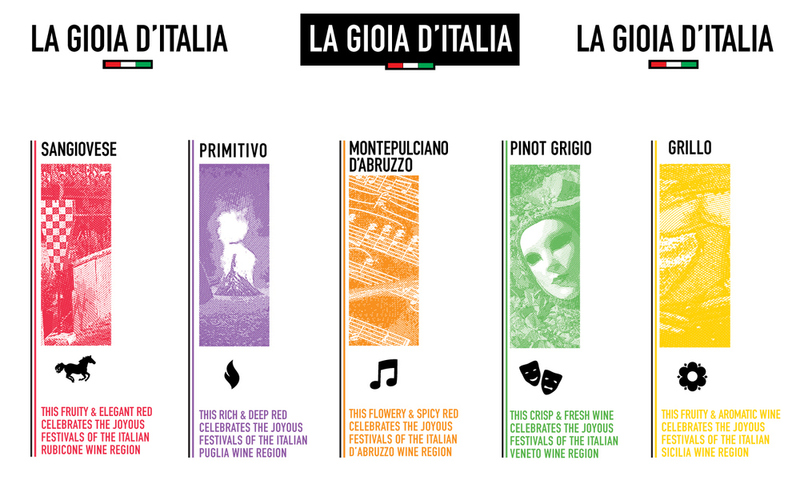 La Gioia D'Italia has recently launched in SPAR stores across the Netherlands!